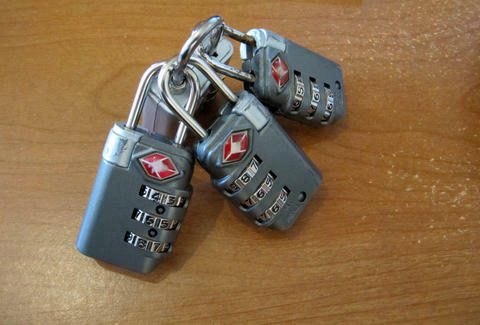 Know how you're only supposed to put TSA-approved locks on your luggage? Well, thanks to some enterprising hackers, anyone with a 3D printer can now make short work of those little red-badge-wearin' things. The snafu started last year, when The Washington Post goofed by publishing detailed photos of the TSA's master keys (the ones they use to bypass those special locks). Whoops! The photos were eventually taken down, and it seemed as if disaster had been averted -- until a user named Xyl2k posted 3D designs of the keys on GitHub this Wednesday, for anyone with a 3D printer to reproduce at will. 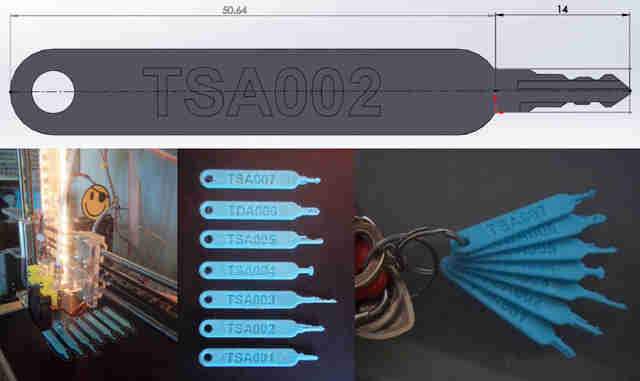 For their part, the TSA seems rather nonplussed about this leak -- according to Mike England, a TSA spokesman who spoke to The Intercept, "The reported ability to create keys for TSA-approved suitcase locks from a digital image does not create a threat to aviation security." As England went on to say, "These consumer products are ‘peace of mind’ devices, not part of TSA’s aviation security regime." Cool story, bro. Maybe stop using these locks?